Those chubby chefs are in the kitchen again, enthusiastically displaying their culinary skills, whipping up tasty treats and having a sip or two of wine with no regard whatsoever for their waistlines. 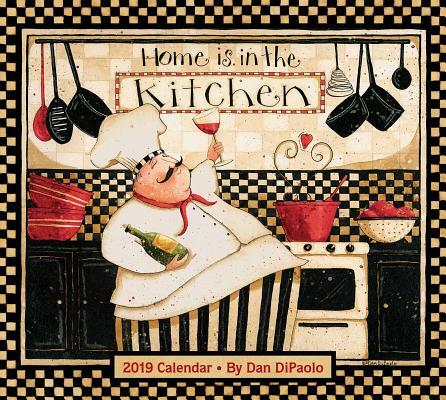 Their joyful antics and clever sayings are on full display on every spread of Dan DiPaolo's Home Is in the Kitchen 2019 Deluxe Wall Calendar, which is packaged in a matching envelope, printed on linen-textured paper, and reinforced with a brass grommet. The calendar also includes a handy September-December 2018 spread and clean and roomy 2019 monthly grids.